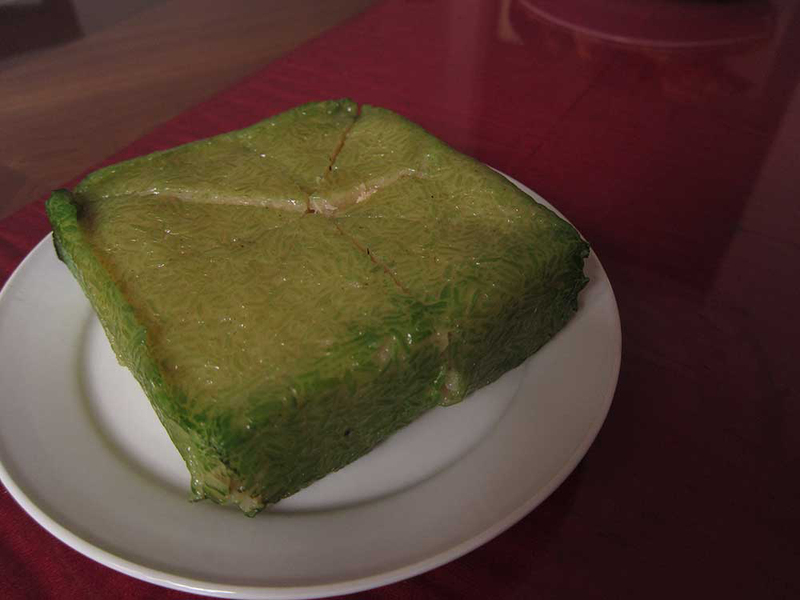 This is part 1 of 2 posts about what we did during Vietnam’s annual New Year celebration, Tết. Part 2 is here. 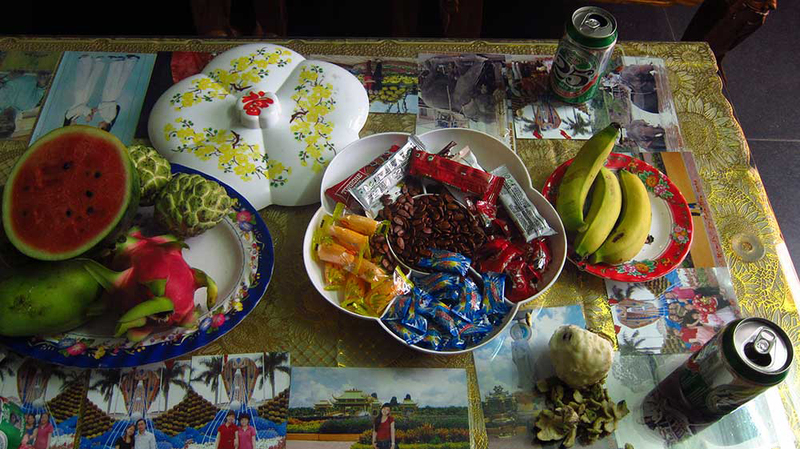 Tết is a week-long holiday for the Vietnamese and ushers in the new year. 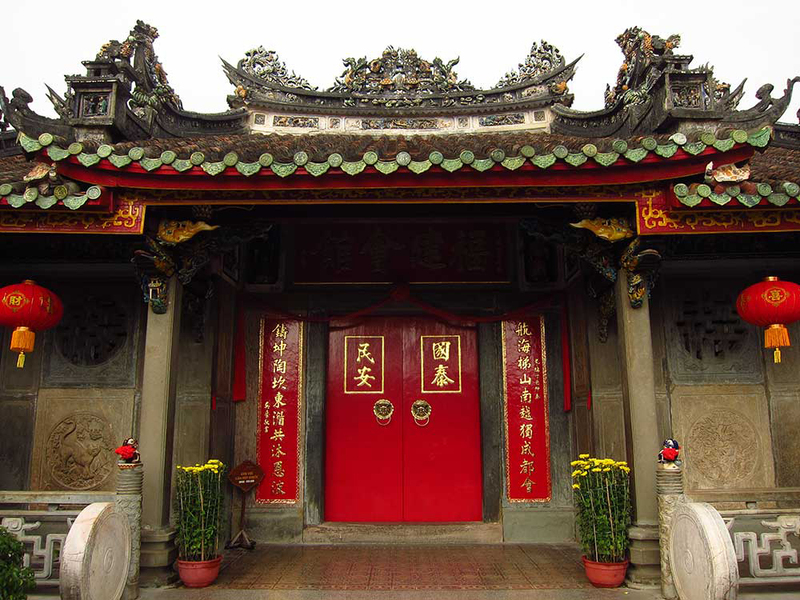 Celebrations and traditions in Vietnam are very similar to the Chinese New Year- right down to the red packets of cash. It doesn’t seem to matter that, “The Chinese are trying to claim our islands,” or the fact that China has a (shaky) military alliance with Vietnam’s not-so-favourite country (hint: the USA), because when it comes to this particular festive part of the lunar calendar tradition holds strong. Far be it from the Vietnamese to turn down an opportunity to throw down an elaborate fireworks display and charge triple for parking. 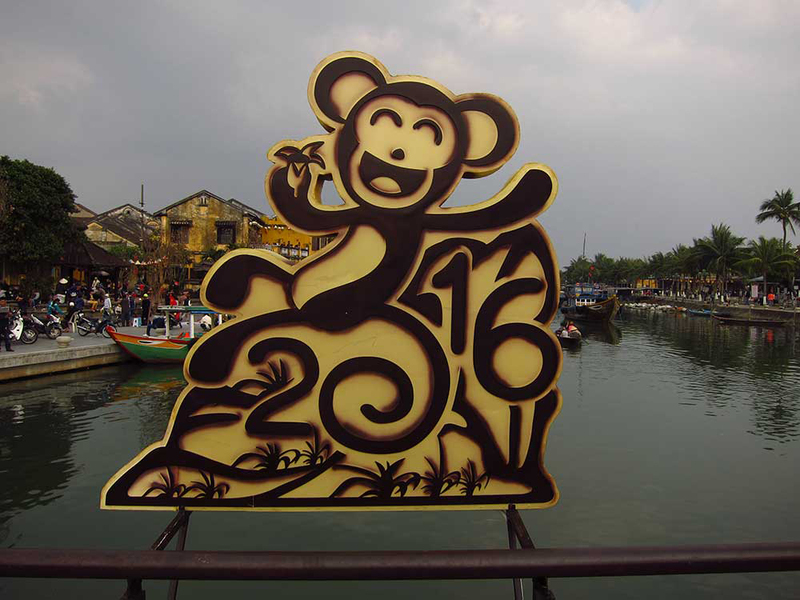 We were in Hội An to ring in the new year. It is the third or fourth most famous town in the country, and as such is crawling with tourists. It’s impossible to walk five metres without bumping into a group of foreigners waving selfie sticks and haggling with vendors over the price of tailored shoes. The town has recently welcomed its 8 millionth official visitor to the region, but seeing as we didn’t buy tickets (the town is free to visit during Tết) and since we stayed in a place that didn’t demand our passports, we can assume that the count of 8 million is a very conservative figure. The tourism leaks out to the fringes as well. Just before Tết we spent a couple of nights in Da Nang with a friend whom we’d met at a Dhamma conference in the south of Vietnam, and on the short drive to Hội An afterwards we stopped at the famous marble mountains. “What’s up there?” asked a British woman as I climbed down through an opening in the roof of the Buddha cave at the marble mountains. “Is that all?” She sounded disappointed. She sounded like she’d made the effort to climb all those stairs and there had better be something goddamn worthwhile at the top. Afterwards I thought about what I should have said. There’s a roller coaster at the top woven from traditional tribal bamboo. It’s considered the world’s most thrilling, but somehow relaxing, amusement ride, because you get a Vietnamese mud facial at the same time which is administered by monkeys. 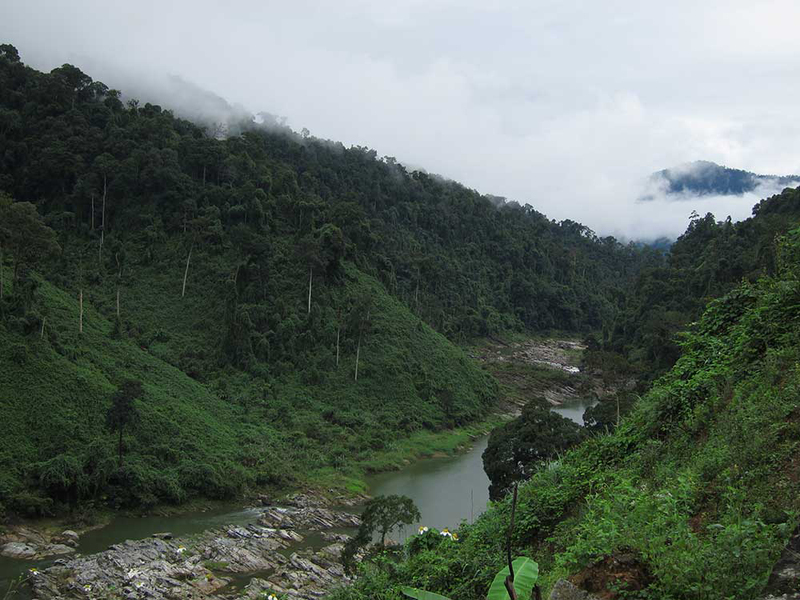 But not just any monkeys – endangered, endemic, Central Vietnamese ethnic minority monkeys. And during the entire process there’s a disembodied soothing voice telling you how special you are. “It’s a nice view,” I said lamely. The disappointment remained on her face. Having to deal with this sort of nonsense leaves us depressed, so we decided to leave Hội An after only one day. 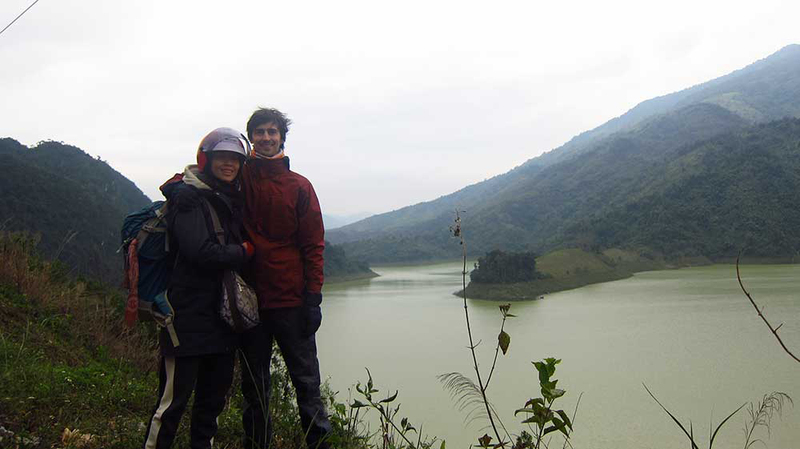 It really was a very beautiful place, but the heavy crowds and constant fear of scammers made it feel unlike the rest of Vietnam we’d experienced so far. Perhaps I’ve become addicted to being stared at like some sort of mythical beast. We took to the hills. 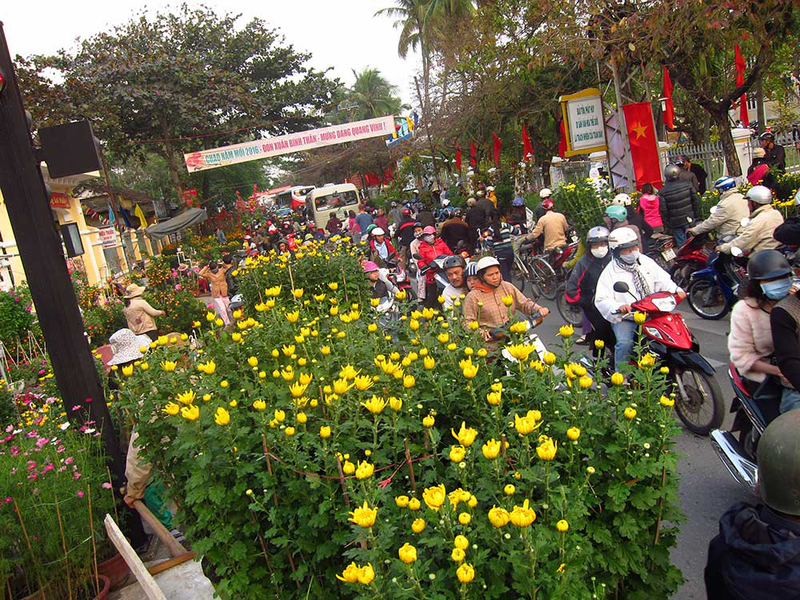 Flowers are a major part of Tết. Flower markets spring up all over the city and are crowded, mad affairs. 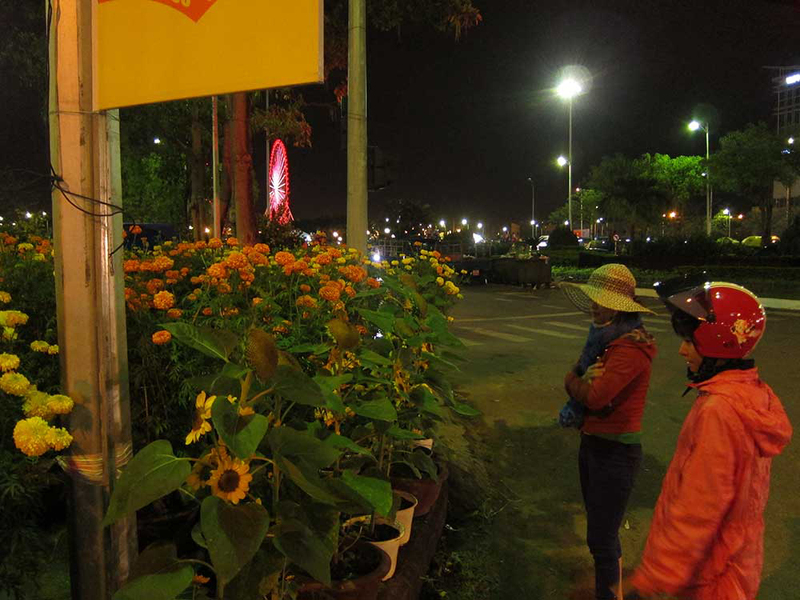 The vendors camp for several nights with their plants leading up to the new year – floral arrangements are coveted and theft is common. 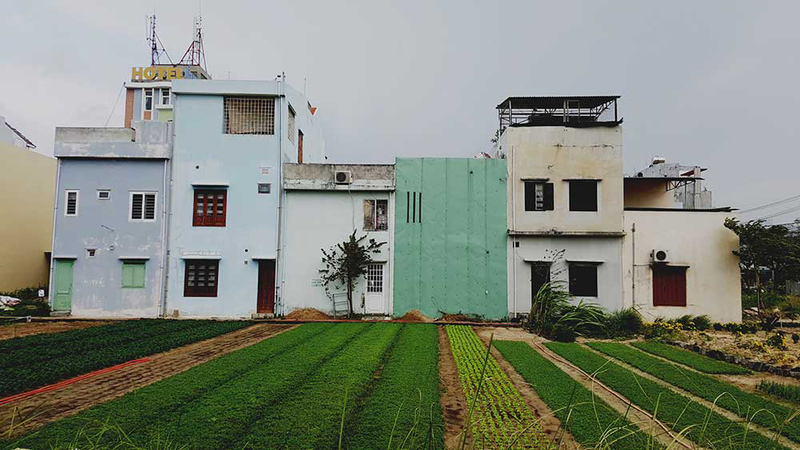 On a random drive through Da Nang we passed the back of these apartments. Neat gardens had been half-harvested of their flowers. 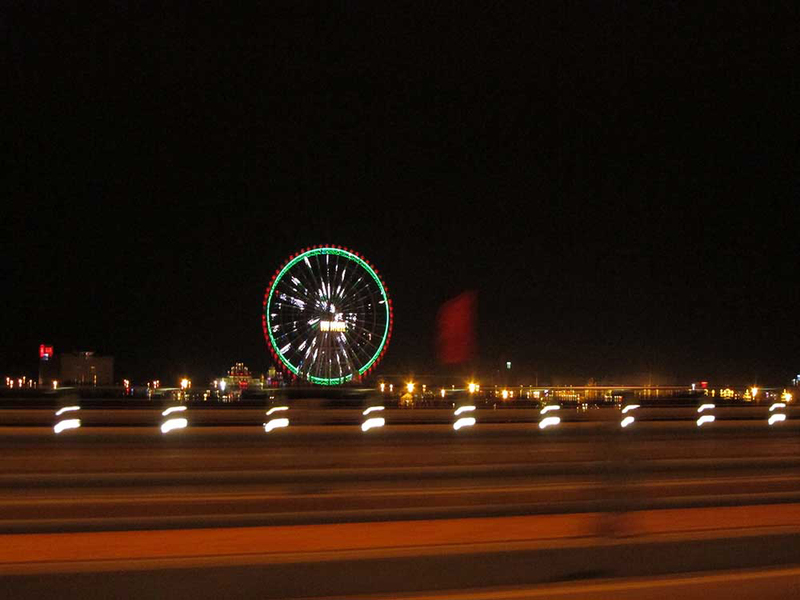 Da Nang’s Sun Wheel. It’s this blurry in real life. 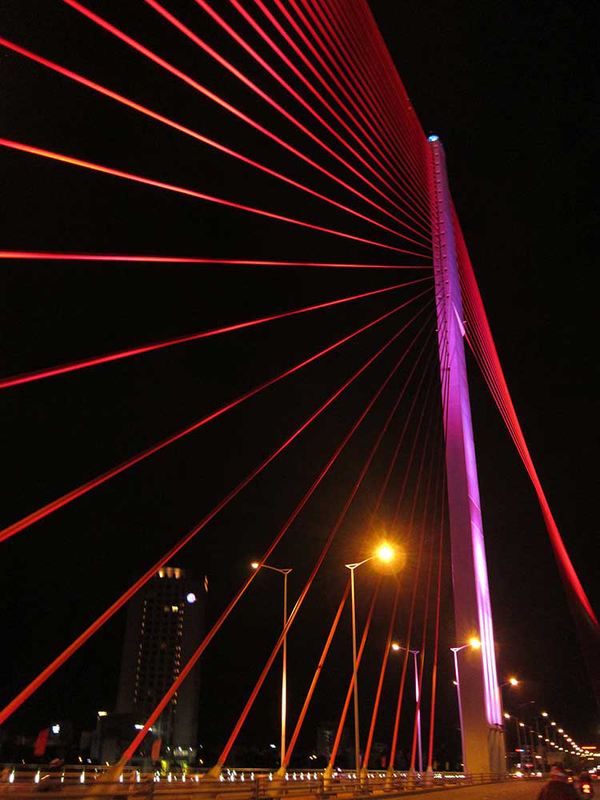 One of several unique bridges in Da Nang that come alive at night. 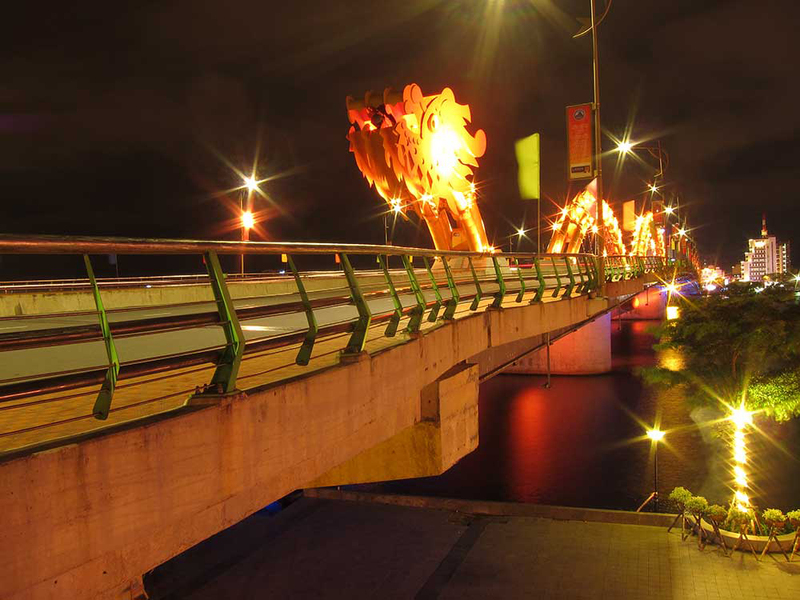 On Sunday evenings this dragon bridge breathes fire. Our friend whom we stayed with had only just moved to Da Nang and didn’t have a motorbike. I helped out by taking her on a flower-buying run. She bought two large sunflowers in terracotta pots, but we could only fit one per trip. She sat on the rack and each sunflower pot was wedged between us. 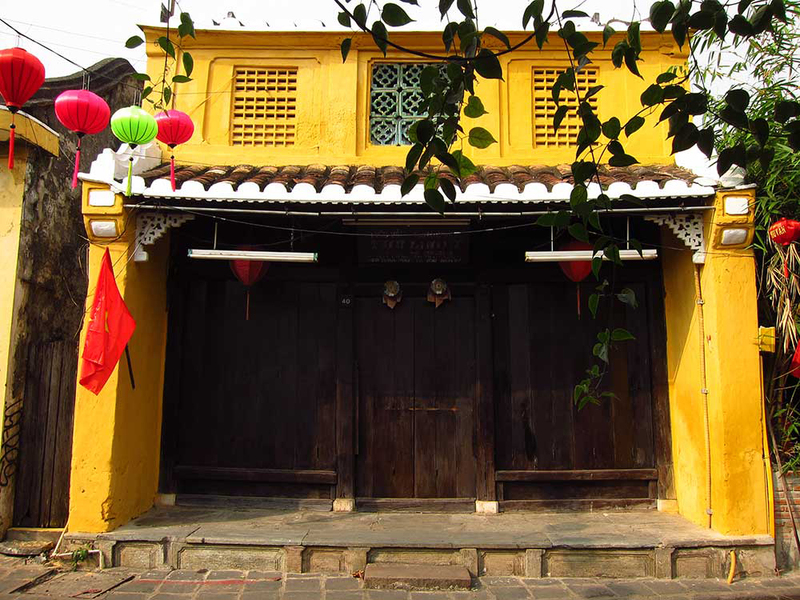 Taking a wander through the old town in Hội An. 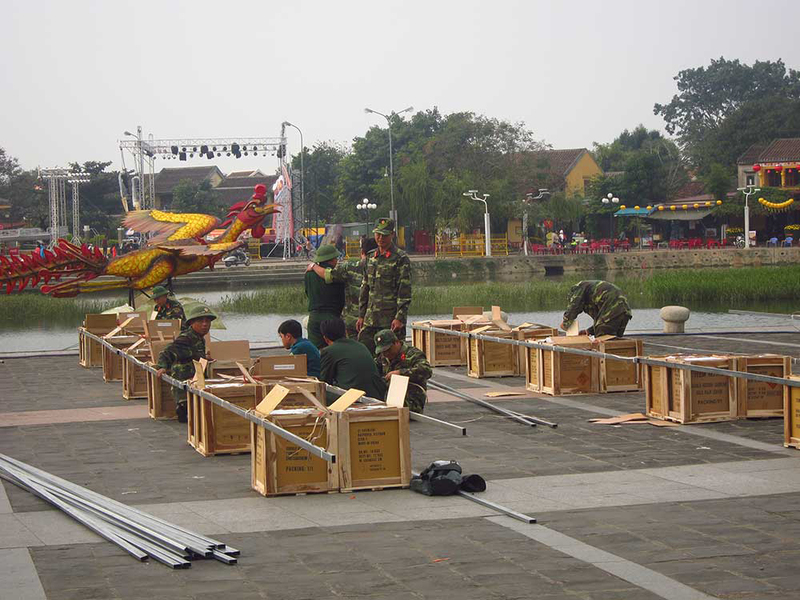 The military were unpacking and setting up wooden crates of fireworks. There would be a glorious spectacle at midnight. 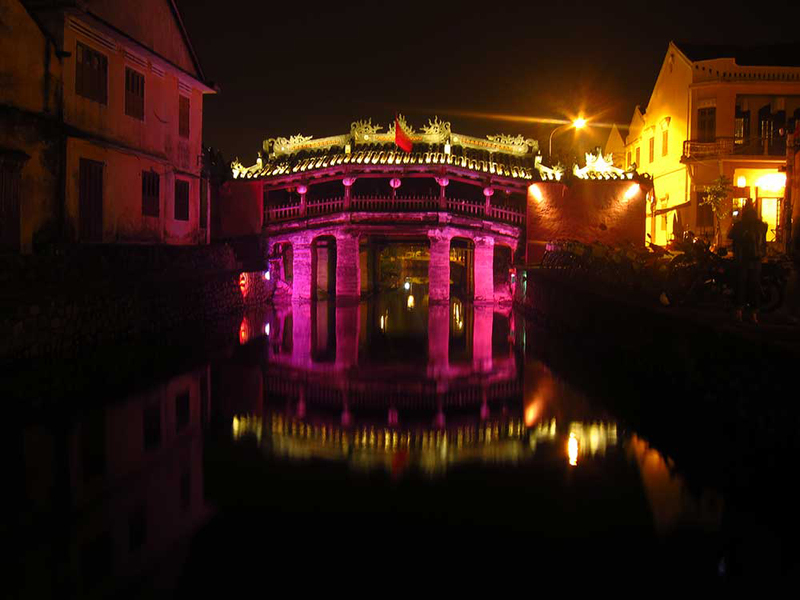 Built in the 1590s, the Japanese Bridge is possibly the most famous attraction in Hội An. This bridge also comes with a dragon legend! If you want to hear that, ask in the comments section below. 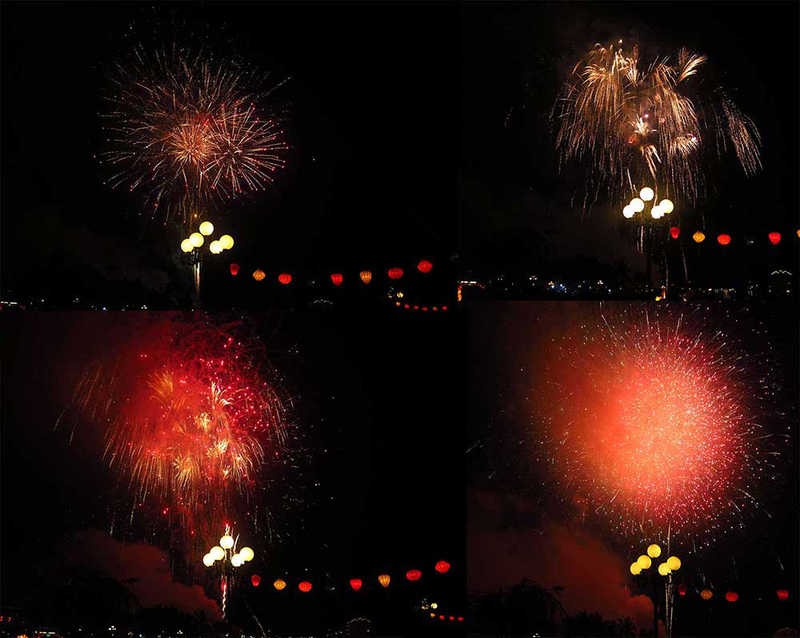 The Vietnamese army certainly knows how to put on a fireworks show. It lasted half an hour and had four encores. 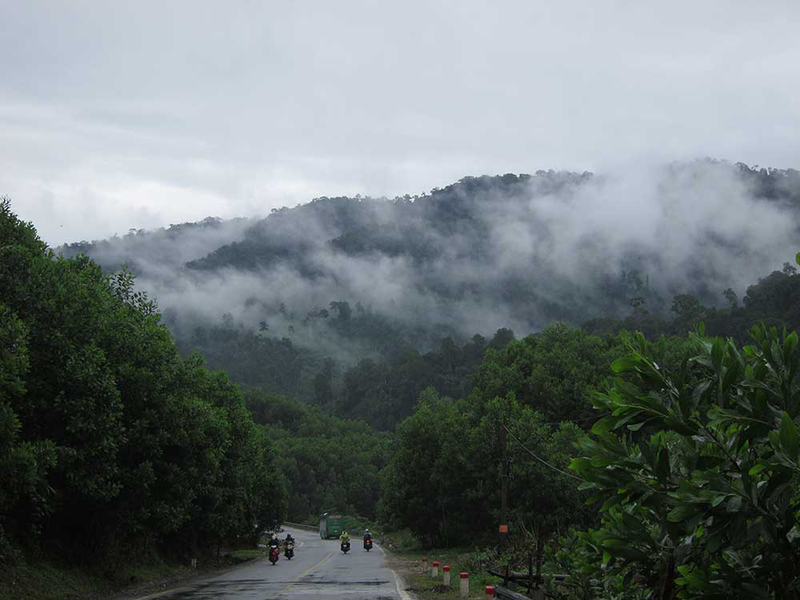 We headed for the mountains of the Ho Chi Minh Road (not to be confused with the Ho Chin Minh Trail). 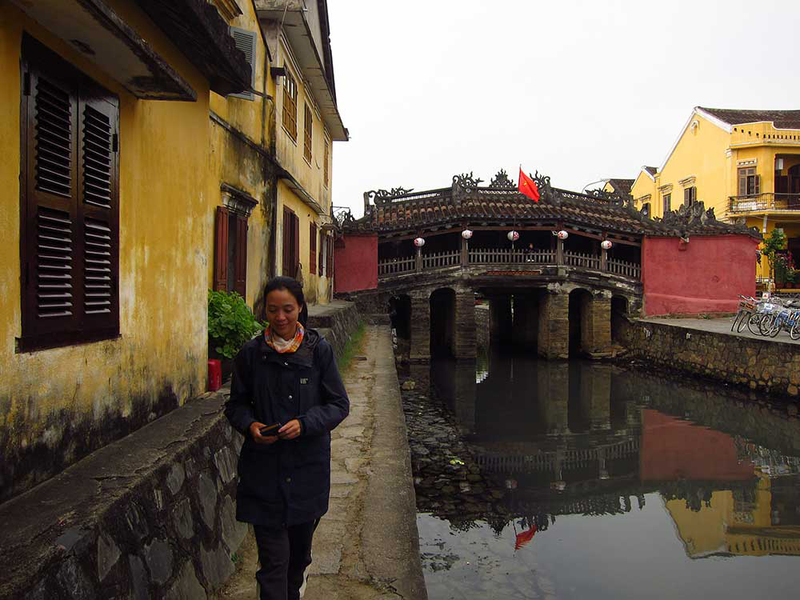 However, before we departed, a girl who worked at our homestay in Hội An warned us about our planned trip. 1 – You should not drive on Tết. It is bad luck to go long distances away from civilisation. People only travel to see their families. 2 – The roads will have lots of traffic. It is dangerous to drive. Despite her warnings, we decided that luck isn’t a real thing and drove the 130 kilometre road through the mountains. The first couple of hours were much busier than normal with motorbikes en masse. 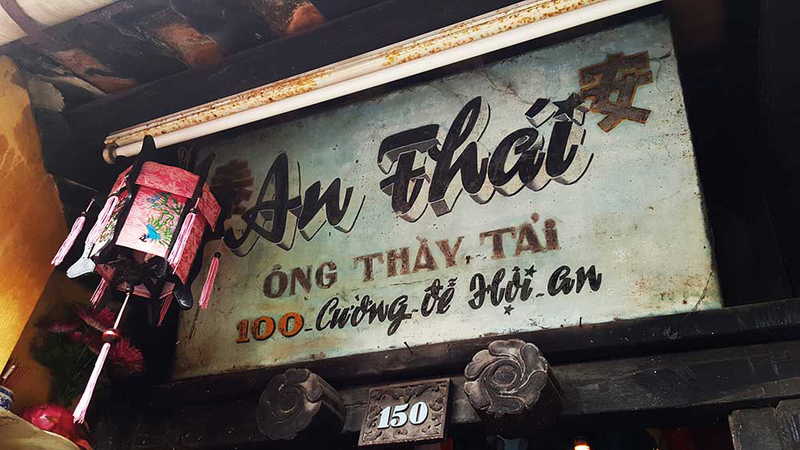 We stopped for what would be our last meal of the day just outside of Hội An – a breakfast of Mi Chay – and got chatting with the people eating next to us. When we weren’t looking they paid for our meal then wished us Happy New Year. After we left the sprawling world of towns and headed into the sparse mountains, the traffic disappeared. 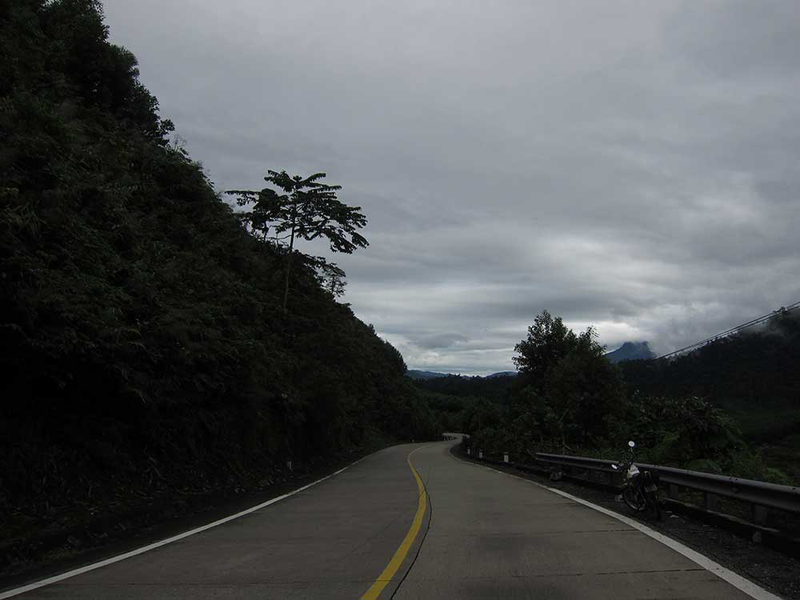 We had the Ho Chi Minh Road almost exclusively to ourselves. At 12.30, which is about as late as you want to take lunch in Vietnam unless you want thousands of used tissues and crushed lime wedges stuck to your shoes, we rolled into the town of Thanh My. Sadly for us, lunch was not possible: all the stores were closed for the new year and the town was virtually abandoned. 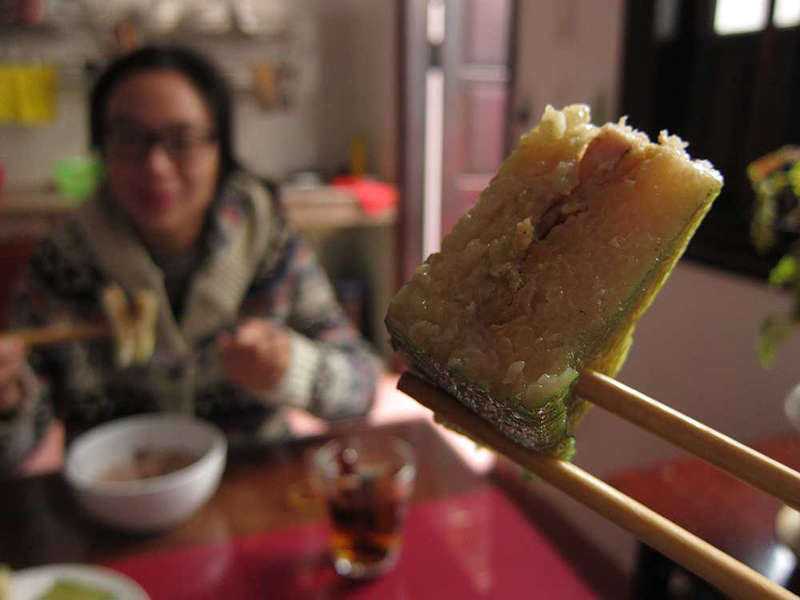 We found the only open place – a cafe – and had coffee and wintermelon seeds. Afterwards, we carried on through the lonely mountain passes all the way to P’rao. Occasionally a group of Vietnamese holiday travelers would pass us, but we mostly saw nobody. 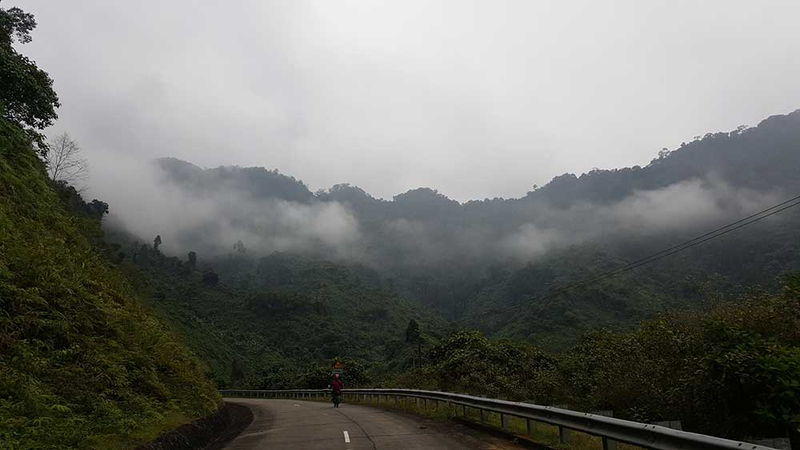 The road went up through misty mountains, cut down valleys and over ridges, and sped by wide rivers in lush valleys. 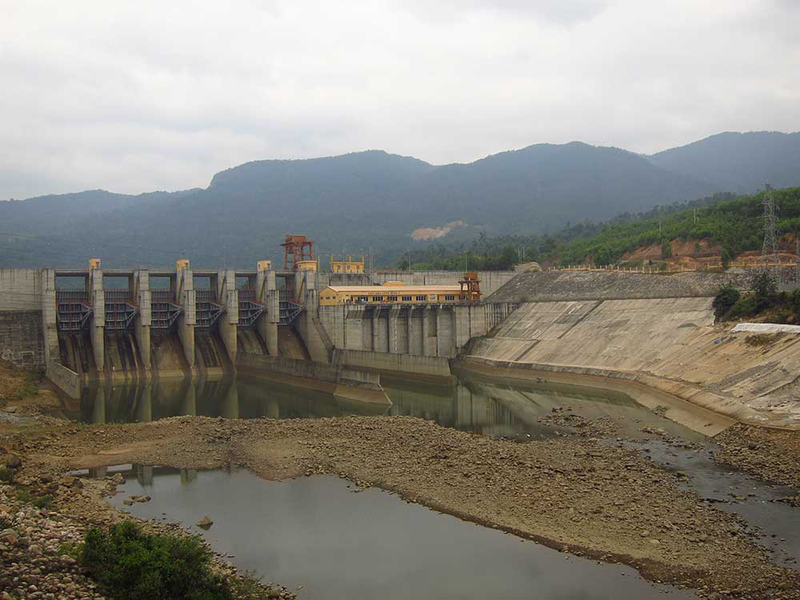 One of several dams along the way. All throughout the tiny town of P’rao were closed shops. 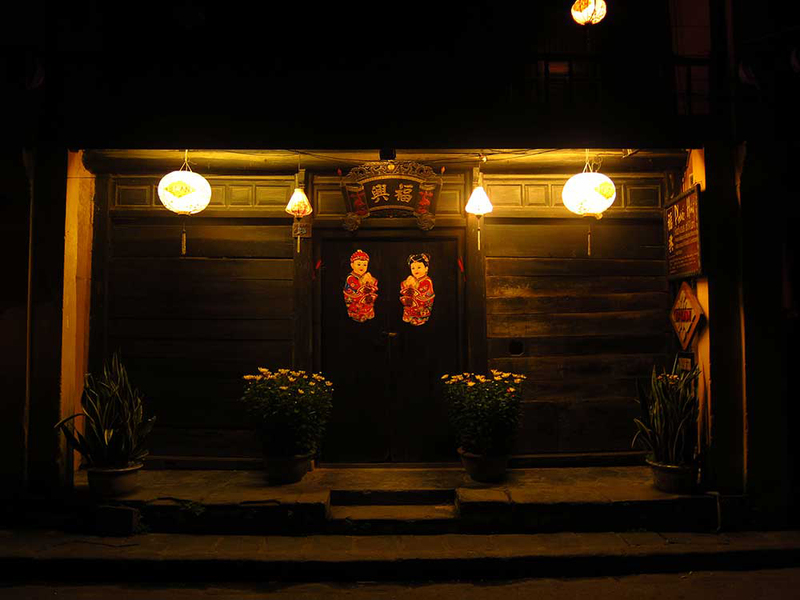 Most places had open doors (according to superstition/tradition, open doors let the old year out) but they were family affairs, with huddled groups of Vietnamese people laughing and drinking. We drove around the town several times, but three of the four accommodation options had padlocks on the gates. 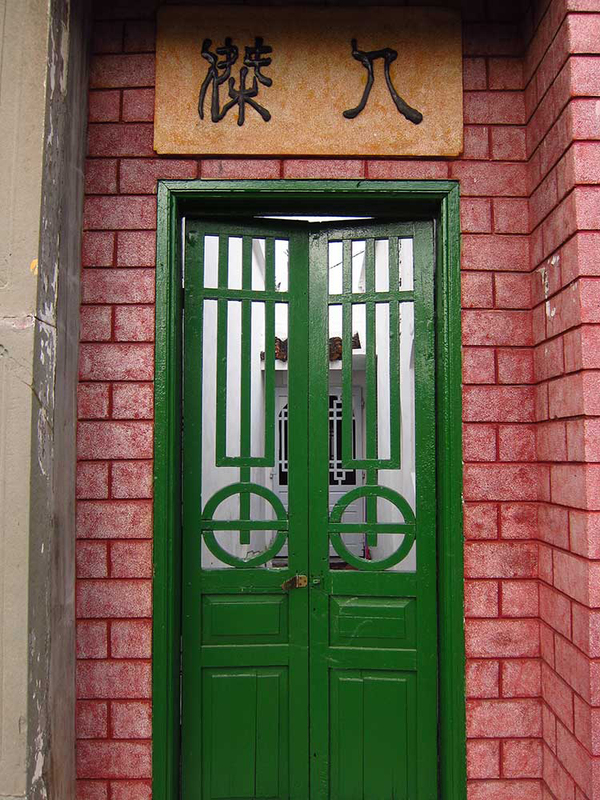 There was only one open place to stay – a guesthouse called Huong Dao which contained a sleeping man in the lobby. “Xin chào,” we said, but he did not stir. I knocked on the wall. Nothing. “Hello?” we said, but he would not wake. We said it louder. I revved the bike. We knocked and called. Maybe he was dead? No, he snored. After several tries we finally got him awake. He led us to a room that hadn’t been cleaned. “Oh,” he exclaimed, and said something in Vietnamese which Caroline translated as ‘not clean, wait here’. Presently he returned with a couple of fresh towels and the disposable toothbrush sets that are common in Vietnam; flexible handles, loose bristles, green sugared glue. There was a clump of black hair on the bathroom floor, and the shower was stuck in the ‘cold’ position with a broken handle. I managed to get it working with the pliers I’d bought for the bike, which was a mercy because the weather was icy in the central mountains. Dinner was off the table because of Tết, but a light knocking at our door revealed the owner holding a can of beer. We accepted his offer and joined him downstairs in the lobby where he had previously been drinking alone. He gave us cans of beer (Huda beer; brewed in Hanoi, owned by Carlsberg, tastes as awful as all other SE Asian beer) and revealed a platter of fruit, seeds, and candy for us to eat. It was as close to dinner as we got on New Year’s Day. The talk was limited, especially for me, but Caroline picked up a few things that the owner said and replied as best she could as he spoke. At one point a stray dog jogged up and came inside. 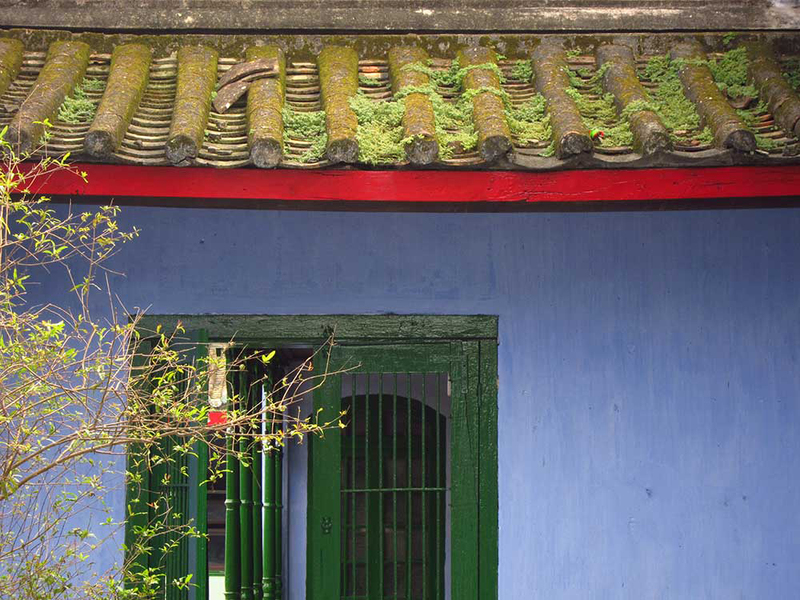 “Outside,” he yelled in Vietnamese at the dog, to which it wagged its tail and sat down. “Haaah!” he said, banging the side of the chair. The dog looked confused but happy. “In Hanoi, they eat you,” he told the dog, but it didn’t seem to mind. Eventually it left of its own free will. As we drank more and more beer (it was one of those situations where refusing was futile) he seemed to become more contemplative and sad, lapsing into long speeches which we clearly couldn’t understand. Sometimes these talks went for many minutes, but thankfully Caroline seemed to make the right noises at the right times. He was 59-years-old, so I thought I’d ask (through Caroline) how long he’d been living in P’rao, hoping to get him speaking about the war. Caroline asked this innocent question and he became silent. He then began to speak very softly and started praying towards photos of his family that were under the glass top of his table. He looked as though he was about to cry and the three of us sat in awkward silence. Finally, after ten minutes of softly muttering, he came out of his slump and lifted his beer for the 20th time, signaling that we should all drink. 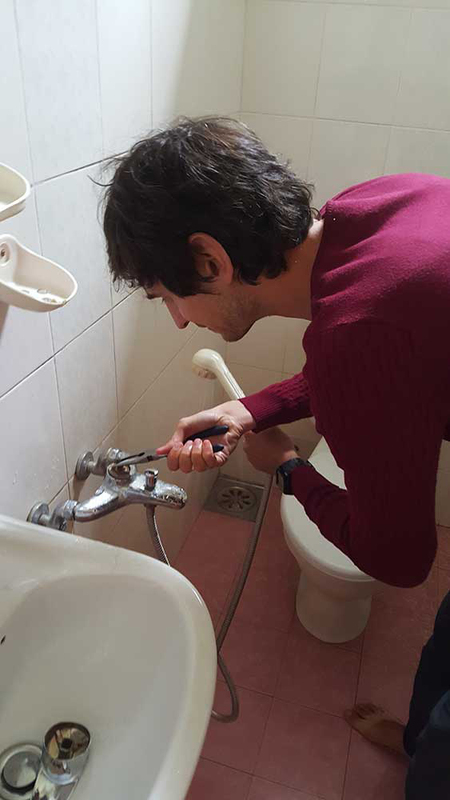 Me using pliers to get a hot shower. Dinner. The only thing we had eaten since breakfast, and the only thing we would eat until lunch the following day. Long before coming to Vietnam, I read Paul Theroux’s Great Railway Bazaar. 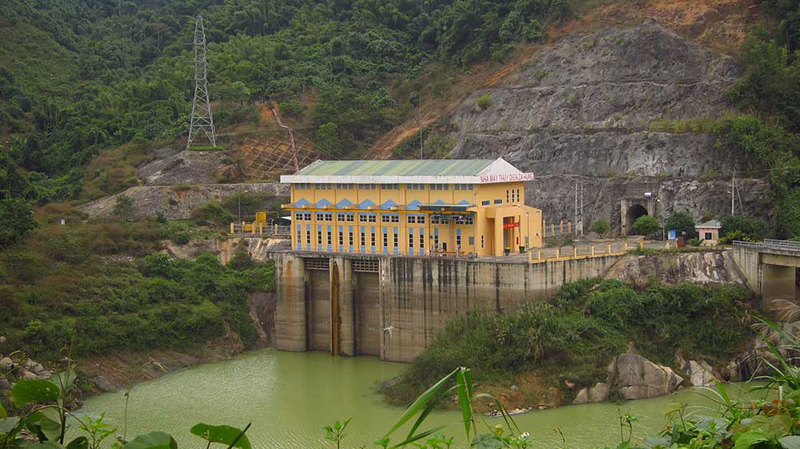 In it, Theroux was left awed after taking the train between Huế and Da Nang trough the Hải Vân Pass. After reading that, I decided that it was the one road I must definitely see when we traveled to Vietnam. Since then we’ve learned that the coastal road was made even more famous after Jeremy Clarkson became all sentimental about it on Top Gear’s Vietnam special. Historically, the pass was difficult to traverse, and presented itself as a barrier between the warring north and south. It even has its own Wikipedia page. 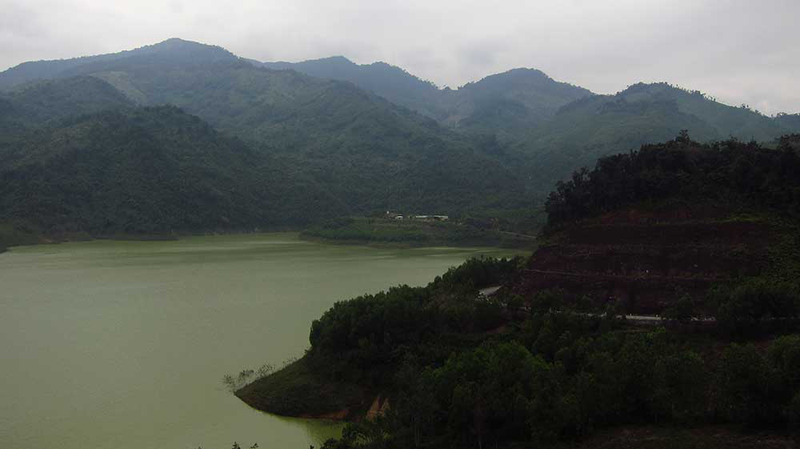 …as spectacular as the Hải Vân Pass is, it’s nothing compared to the passes you’ll encounter if you stay on the Ho Chi Minh Road from Khâm Đức to A Lưới. 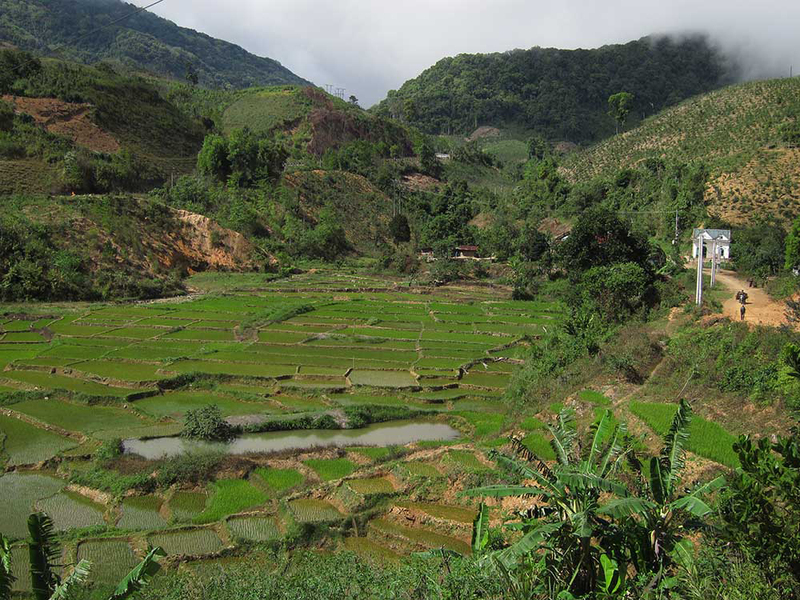 He wasn’t wrong: the road between P’rao and A Lưới was stunning. I know I say this often, but it was perhaps the finest road we’ve ever driven across. 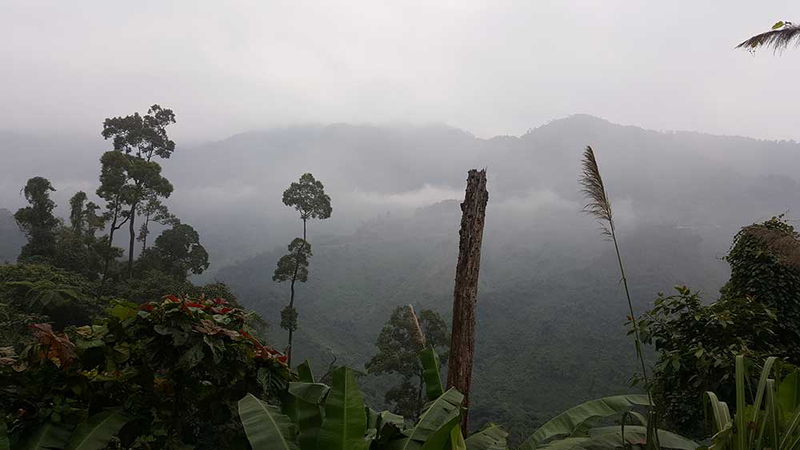 It was cold and misty, we hadn’t had anything substantial to eat since the following morning (thanks, Tết), and we discovered that our nice camera had broken, but the majestic views pushed all that aside. The photos from our backup camera (the phone) will have to suffice. They don’t do it justice, but happily we have the memories forever. 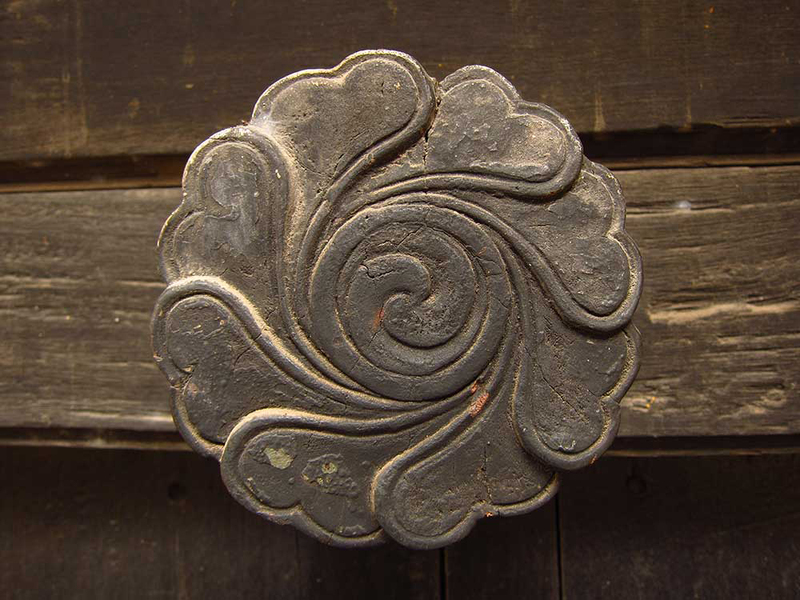 We've got a monthly newsletter. Bad luck with food and housing all because you decided to travel! Yeah! But luckily we didn’t have that problem again. Even in the small towns we visited after Prao there was at least one food place open.